Create a Strong Core with Tribe! Are you getting bored doing the same old workouts day after day? Then it might be time to try something new and exciting! Tribe Team Training is a great way to get in a fun and challenging workout in a motivating group environment. 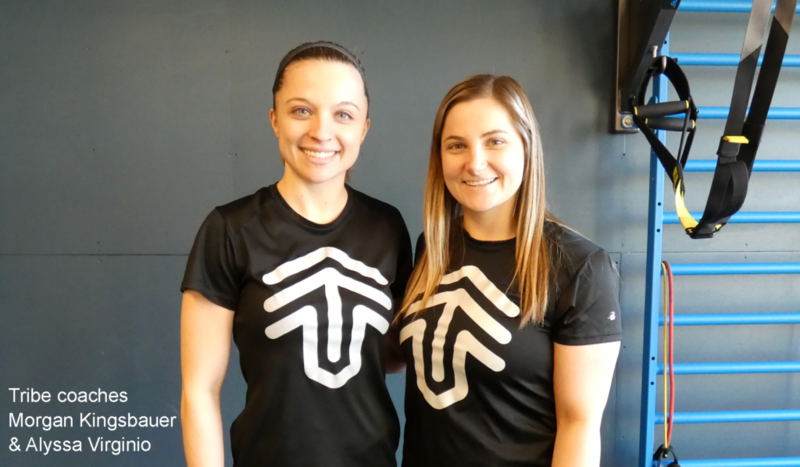 Tribe is a small group training program that meets twice a week for 6 weeks. Tribe coaches will be there with you every step of the way to keep you safe, push you when necessary, and help guide you through the workout. And with the option between Tribe FIT, CORE, and LIFE, there is a Tribe for everybody! Tribe FIT is a high intensity conditioning workout that focuses on both strength and endurance. It’s perfect for anybody looking for a full body workout that tests their limits. If you’re looking for something just as challenging but low impact, then Tribe LIFE is the right choice for you! LIFE workouts are full body functional workouts that will help you build strength and improve your cardiovascular fitness at the same time. Both FIT and LIFE are offered at various times throughout the week, so simply call the Warrington Cornerstone Club to find a time that works for you! However if you’re looking for a workout that is more tailored towards challenging your core, then Tribe CORE is perfect for you! CORE workouts are designed to help improve strength, stability, and power throughout your entire center (targeting mostly the shoulders, abdominals, back and glutes). If you’re tired of doing hundreds of sit-ups just to work your core, then you’ll love the variety that a Tribe CORE workout entails. Each workout strengthens the entire body, but they have an extra emphasis on core stability and strength. You’ll be amazed at how much stronger you can be in just 6 weeks! If you’re ready to give Tribe a try, then sign up for a free class during Free Trial week which starts March 4th. We offer each class at a variety of different days and times, so there’s guaranteed to be one that fits your schedule. And for the upcoming season of Tribe (starting the week of March 11th), we have two brand new Tribe CORE classes! Join Coach Morgan on Mondays and Wednesdays at 9:30am or join Coach Alyssa on Mondays and Wednesdays at 6:30pm to get in a great CORE workout! Check out the full season schedule on our website. To sign up for a free class, fill out our form to directly contact Head Coach Sean Rimmer or give us a call at 215-918-5900! I’ve been meaning to set up an interview with Doylestown Massage Therapist Carol Hunt (license # msg000415) for some time. She’s an interesting and kind person and a font of information when it comes to bodywork. 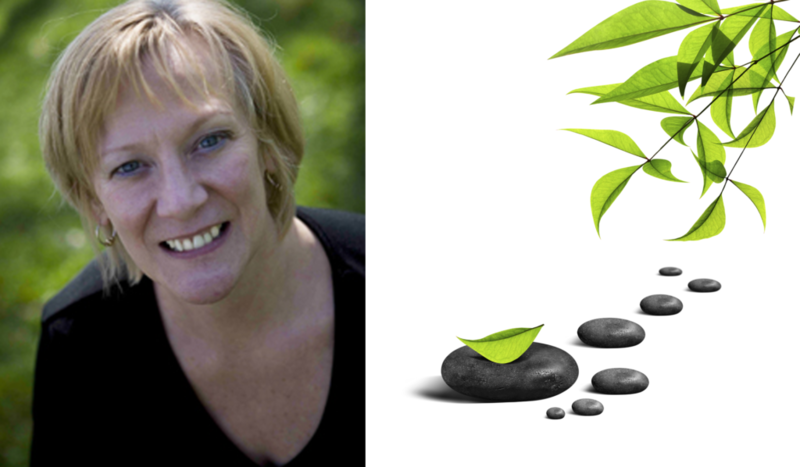 Given that February includes the Valentine holiday and is now considered a month to focus on love – both towards others as well as towards ourselves – it seemed the perfect time to speak with Carol who’s love of her work makes her not only an outstanding massage therapist, but also a valued member of the Cornerstone team. How long have you been working at Cornerstone and what brought you here? I started working at Cornerstone in September 1996, so it’s been a little over 22 years. A friend of mine used to drive by the Doylestown club, which was the first Cornerstone location. He told me that the parking lot was always full and suggested that I stop in and speak to someone. So, I did. Apparently, there was a massage therapist who had broken her ankle and no one was sure if she was coming back. After a couple interviews, I was hired. There were times when I was the only massage therapist on staff. Now, I’m fortunate to work with two other highly experienced massage therapists, Cathy Calabria-Kane and Rachel Zhang. Between the three of us, we have about 65 years of experience! Why did you decide to become a massage therapist? I originally went to massage school in the 80’s, but it wasn’t the right time in my life and I wasn’t ready to do anything with it. So, I went again in ’95 and by that time, I was ready to practice. As for why I chose this line of work, I can’t really articulate it. I just felt it was a calling, a calling that was strong enough that I paid for school twice! How has massage therapy changed over the years that you have been practicing? It’s much more in the public eye and awareness. Thankfully, the old-fashioned perception of “massage parlors” has dropped away and massage therapy has become properly integrated into the healthcare and wellness industry. There’s also been a lot more research in the last 10-15 years proving the efficacy of massage. We’ve learned that massage can benefit lots of different populations. Massage therapy has also become more professional with state licensure requirements along with other rules and regulations. Staying relevant. I have a lot of long-term clients. I don’t want people getting bored with their massage. It’s important to me that I keep my massages fresh and focused on the needs of my clients. Since I love what I do, this is not hard. How would you explain the importance of regular massage to overall health and wellness? All massage is therapeutic with each treatment targeted towards creating total relaxation and restoration in an individual. Massage can release restrictions and ease muscle pain and tension, increase range of motion by promoting joint flexibility and induce relaxation, increase circulation and contribute towards deeper sleep. Most people don’t stretch enojgh, so massage will help lengthen muscle fibers and can improve circulation through the body resulting in the movement of nutrients into and out of the cells. Tight muscles have less elasticity. So, cells have waste and toxic products. Relaxing muscles and improving fluid circulation moves nutrients into the cells and waste products out. Also, massage can help align new scar tissue and have it become pliable with the muscle fiber. There is also the importance of the power of touch. Massage therapy provides connection to another person in a non-judgmental and caring way. Massage is also like a vacation from stress which is the root of so much disease. All of it. It feeds my soul. I love the one-on-one connection, I love seeing improvements in people, and I love “being the best part of their day”- even if it’s the fastest hour of a person’s day. What’s one thing that most people don’t know about massage therapy? That they are in charge. Too many people say, “I had a massage and it hurt”, but they don’t speak up. People are afraid to ask for what they want. I always thank people when they make it clear what they want. It makes it easier for me to do my job and complete my mission which is to satisfy my clients by giving them what they need. It’s about you. It’s not about the massage I want to give you. Oncology massage, Swedish/Deep Swedish, Hot stone and Pre and post natal. I’m also a Reiki Master. Sometimes, people will ask me what kind of massage I’m giving. After 2o + years of experience, I have the confidence to incorporate my many years of continuing education and often combine elements from different modalities so I can tailor a massage to fit a person’s specific needs. Sometimes there’s no simple answer – it’s often a mix of things based on experience. If you have any questions or would like to sign up for weekly emails announcing upcoming appointment openings, contact Carol at CHunt@cornerstoneclubs.com.